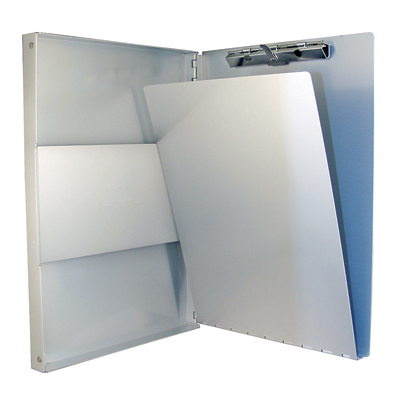 Store Home > FOR TAT/SP509 - Snapak-Side Opening Tatum 5 2/3" x 9 1/2"
3/8" storage capacity with privacy cover/hinged writing plate to conceal confidential documents and prevent write through on self-copying or carbon forms. High tension serrated clip. Aluminum construction with weather resistant lacquer finish. Small sizes fit cruiser vest pockets.